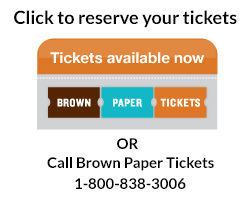 Advance ticket sales end Monday, April 22, at 11:50 a.m. Yet race is one of the most difficult topics to discuss in American society. If we are to heal many of our country’s social, economic, and political divides, we can’t afford to avoid the conversation. With warmth and openness, renowned author and professor Clyde Ford leads a discussion on race in modern-day America with a heavy emphasis on audience participation. Meant for people of all races, participants will come away with tools for engaging in conversations about race in an honest, transparent, and meaningful way. Though ambitious, this talk aims to make a difference in bridging and healing the racial divide. 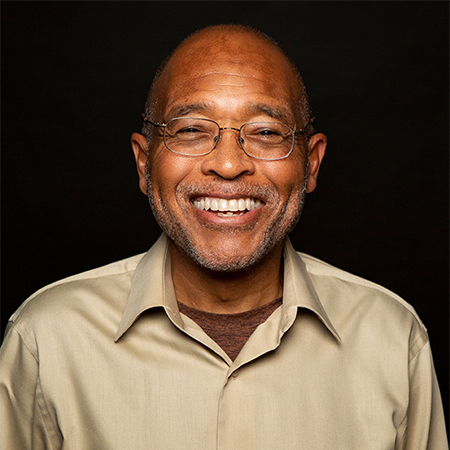 Clyde Ford was an instructor at Western Washington University where he taught “The Introduction to the African American Experience.” His books include We CAN All Get Along: 50 Steps You Can Take To Help End Racism and The Long Mile, for which he received the Zora Neale Hurston/Richard Wright Award. Ford was a featured guest on the Oprah Winfrey Show, where he discussed practical steps people can take to help end racism. He is a 30 year resident of Bellingham who received the Mayor’s Arts Award in 2006. Coming May 22: A State Bank for Washington – Invest in WA or Wall Street? Sen. Bob Hasegawa has introduced nine state bank bills since 2009, as well as numerous budget provisos to study or implement a state bank. His current proposal would create the Washington Investment Trust which would handle all state and local tax revenues and use the interest on the revenues to capitalize a state bank that can leverage those funds for the benefit of Washingtonians. Sen. Hasegawa will provide an update on the State Bank proposal, where it’s at and how it could recapture control of what happens to our state taxes. Cities and states put their money in Wall Street banks which leverage those public funds to create private profit. Cities and states have the option of keeping their public dollars and leveraging them for their own community needs through a state or public bank. Speaker: Senator Bob Hasegawa, 66, is a lifelong resident of Seattle’s Beacon Hill. He previously served in the Washington State House of Representatives, 2005-2012, before joining the Senate in 2013. He is retired from the Teamsters Union where he was a member and union leader for over 32 years. Bob believes in lifelong learning. He graduated from Cleveland High School in 1970 and went on to the University of Washington, where he studied physics. He later graduated from Antioch University Seattle with dual areas of concentration in Labor Relations and Organizational and Social Change. He holds an AA degree in Labor Studies that he earned at Shoreline Community College, studied information technology at Seattle Central Community College, and is a seasoned professional commercial truck driver, certified transit operator, and journey-level operating engineer (heavy construction equipment operator). Bob also holds a Master of Public Administration degree from the Evans School of Public Affairs at the University of Washington.